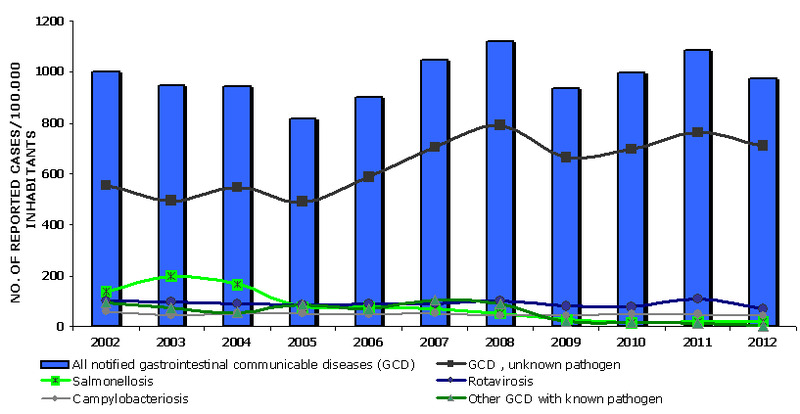 The incidence of gastrointestinal communicable diseases (GCD) and foodborne infections remains high. Among unknown pathogen the majority is bacteria kampilobaktri but otherwise, the viral infections have an increasingly important role. The incidence of infection is assessed on the basis of all notified cases. This approach underestimated the actual burden of GCD and foodborne infections in the population. 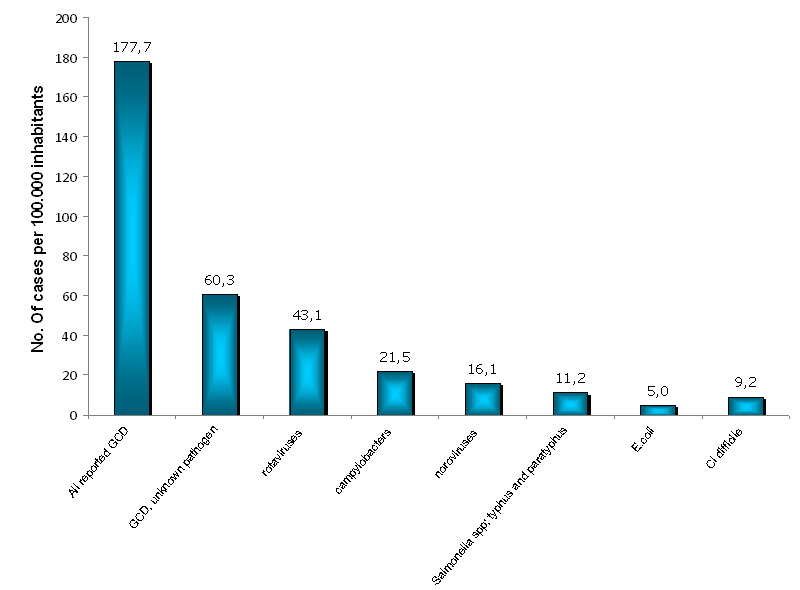 Indeed, the burden of GCD and foodborne infections can be assessed through research. National Institute of Public Health of RS, 2002–2012. National Institute of Public Health of RS, 2013. Author(s): Mag. Eva Grilc, dr. med., spec. epidemiologije, Tatjana Frelih, dr. med., spec. 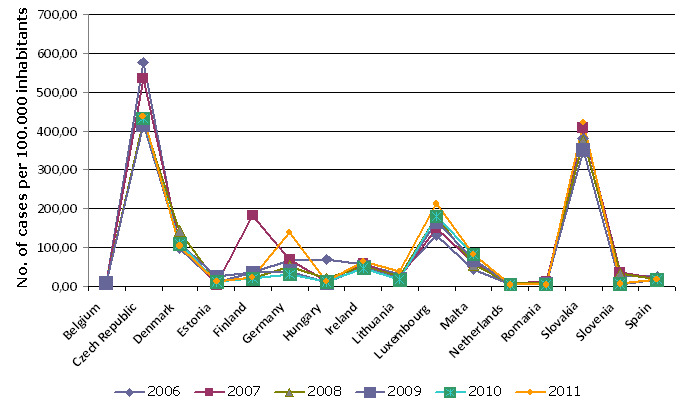 epidemiologije, Mateja Blaško Markič, dipl. san. inž., Saša Steiner Rihtar, inž. usnj. pred. teh.